The Cape Maye Bedroom Collection's classic cottage styling makes your bedroom breezy, comfortable, and easy going! Side mounted ball bearing glides, dust proofed, English and French dove tailed drawer construction, and felt lined top drawers speak to the quality of the collection. 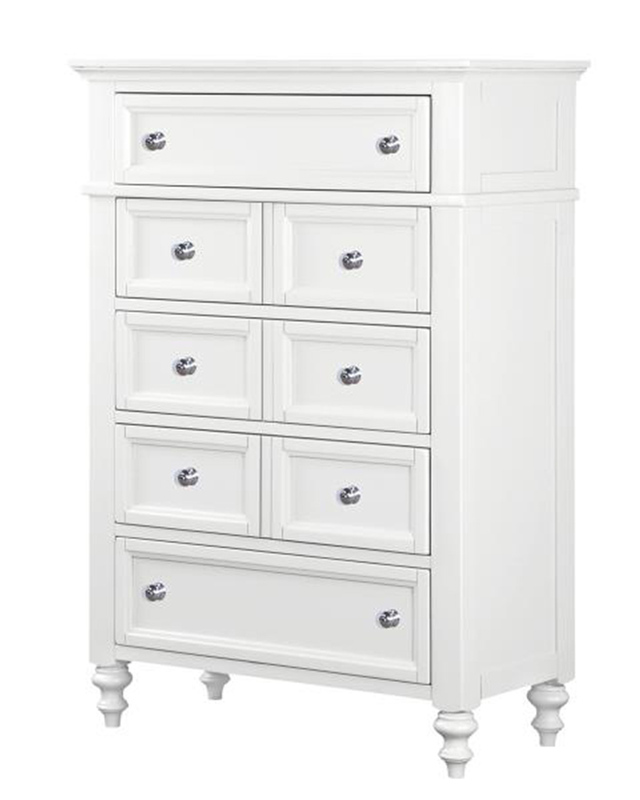 Touch lighting on the night stand and ample storage, are unique to Magnussen Home. Mix and Match with textures and fabrics for a fresh approach that creates classic cottage style living. All drawers are constructed with French dovetail in the front and English in the back. 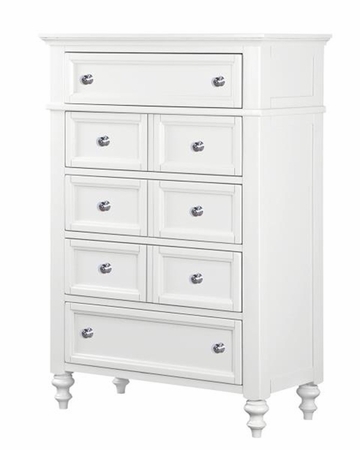 Chest features 5 drawers with appearance of 8 drawers.